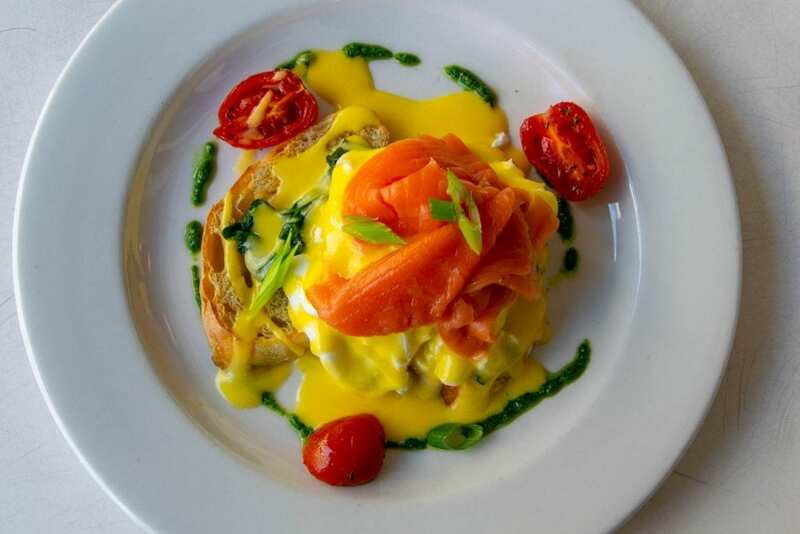 South Africa is one of our new favorite countries in the world: its landscape is nothing short of incredible, the adventure activities available could rival anywhere on the planet, the wildlife is magnificent, and the food delicious. 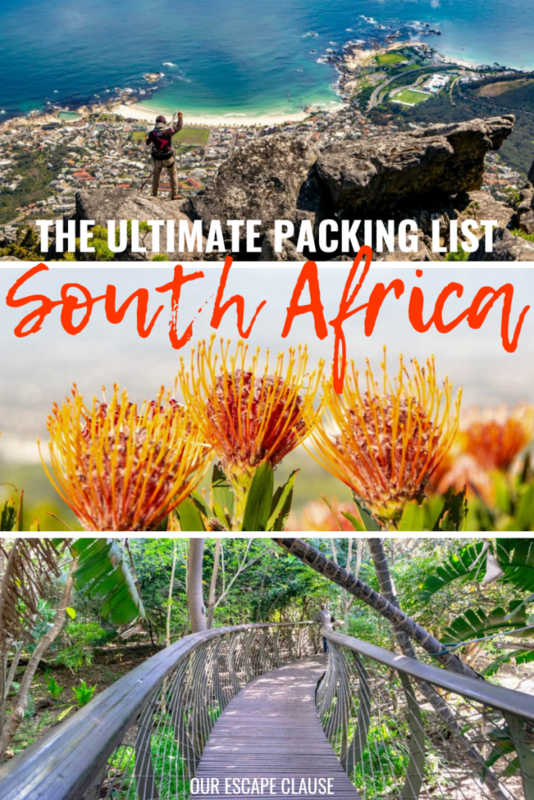 South Africa is also enormous (about twice the size as Texas or France, and about the same size as Colombia), and its large size combined with the wide variety of things to do in the country can make putting together a packing list for South Africa a bit tricky. After a long and leisurely six-week trip to South Africa this year, here’s what we recommend putting on your South Africa packing list. Passport — Obvious but true: good luck flying to South Africa without it! Travel Insurance — Definitely be sure not to visit South Africa without travel insurance! We use and recommend World Nomads for their ease of purchase and the clarity of their contract. For visiting South Africa, we actually upgraded to the highest level of coverage with World Nomads because it covers more adventures (and includes CDW for rental cars). Double-check the list before purchasing to make sure you get the right coverage for your trip! Visa (If Needed) — Currently, citizens of 48 countries including the USA, Canada, United Kingdom, and Australia can visit South Africa visa-free for up to 90 days. Several additional countries can visit visa-free for up to 30 days. That being said, always double check the visa rules for any destination before finalizing your trip. Yellow Fever Card (If Applicable) — As of the time of writing, proof of yellow fever vaccination is only required for visiting South Africa if you are arriving from a country that has a risk of yellow fever. Be sure to triple-check your travel itinerary before booking if you plan to travel without a yellow fever vaccination! International Driving Permit (If Applicable) — If you are planning on renting a car while in South Africa and your current driver’s license is printed in a language other than English, you’ll need to acquire an International Driving Permit and add it to your South Africa packing list. Note that this must be obtained before arriving in South Africa! Money — This includes credit cards, debit cards, and any South African rand you choose to get ahead of your trip (we don’t bother with this, it’s easy enough to withdraw local currency at ATMs once arriving). We recommend bringing at least one major credit card and a backup, one major debit card and a backup, and of course, make sure you alert your banks of your travel plans before leaving! Credit cards are widely accepted in South Africa, we ended up using very little cash in the country. And though this is a bit off-topic for a South Africa packing list post, please note that there is a common scam in South Africa where people “help” you with the ATM and subtly skim your card number. It is strongly advised to not let anyone help you at an ATM South Africa. — We love our Pacsafe! This safe makes it incredibly easy to keep valuables safe abroad, and we used it throughout South Africa. easily holds two laptops along with other valuables like our passports, and when leaving our hotel rooms, we simply loop it around the strongest thing in the room (usually a pipe or the base of a toilet) and know our belongings are secure. Pacsafes are affordable and easy to pack, and a must-have item on your packing list for South Africa! If you’re serious about photography, you’ll likely want to rent a zoom lens for your trip–we didn’t want to deal with the logistics of doing so since we were already abroad, but we would have loved to have had one. If you’re hoping to get any solid photos of the wildlife at all, even if you’re not normally very into photography, you’ll want to consider bringing along something more than a phone camera. — There’s nothing more annoying than arriving in a destination and finding that you can’t charge any of your electronics! Be sure to add adapters to your South Africa packing list, and double check that they work on everything you want to bring, from camera chargers to travel hair straighteners. — We really regretted not bringing binoculars on safari with us–so much so that we seriously considered purchasing an overpriced pair in the Kruger National Park gift shop! If safari is a big part of your trip plans, be sure to add binoculars to your South Africa packing list–you’ll definitely be glad to have them. Malaria Medication (If Applicable) — Technically, part of South Africa–the part where Kruger National Park is located–is in a malaria zone. Not everyone chooses to take anti-malarial medication there, including us (we spent most of the time we were in the park in our car, took precautions not to be bitten, and also visited in late winter). There have also been very few recent cases in the area. However, malaria is no laughing matter, and everyone should read up on the risks, consult with a doctor, and make an informed decision for themselves when deciding whether or not to take antimalarial medication on a trip to South Africa. — Want to make sure your electronics are always ready to go? Add a portable USB Charger to your packing list for South Africa–there were many times we wished we had one with us (ours sadly got lost several months ago), including on long game drives in Kruger National Park when we just couldn’t stop taking video after video on our phones. — South Africa’s water is generally safe to drink, and is actually some of the tastiest we have ever come across! Bring a reusable bottle with you to cut down on both plastic waste and expenses. 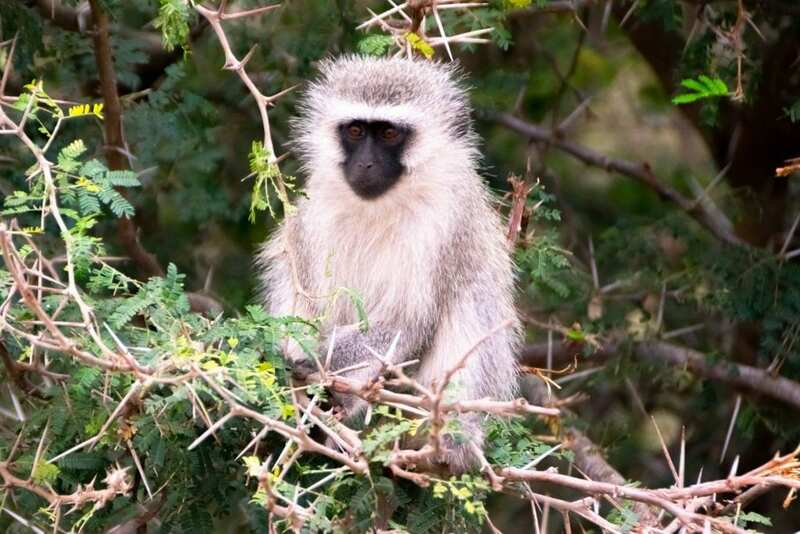 — Bug spray is a must when visiting South Africa, especially if you’re planning to visit Kruger National Park. Don’t forget to put some on your packing list for South Africa! — South Africa is big on picnics (with all that amazing nature, it would be a shame to always eat inside! ), and we love having our Swiss Army Knife with us for them. In more than 2 years of full-time travel, I’ve lost track of the number of times we have used the knife itself–not to mention the corkscrew and the small pair of scissors that are attachments on ours. Just make sure this goes in your checked luggage! Airport security is (understandably) not fond of people flying with knives. 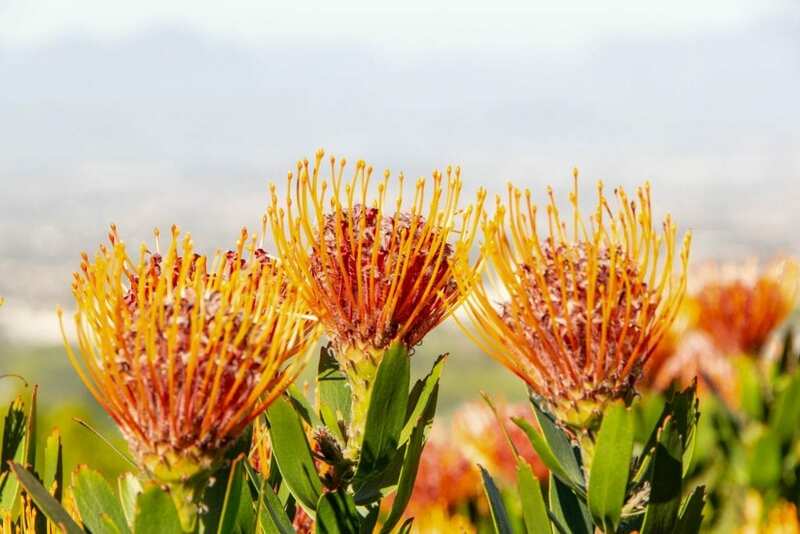 — The last thing you want to do is end your South Africa trip with a giant sunburn from underestimating the powerful rays at the beach or out on safari–play it safe and add plenty of sunscreen to your South Africa packing list! — We never travel anywhere without Purell Hand Sanitizer–it’s small, cheap, and incredibly useful–and these days, that goes double in South Africa. Cape Town’s water crisis is still ongoing, and residents and visitors are under strict water rations. Restaurants urge patrons to use hand sanitizer instead of washing their hands when practical, and it’s a good habit to get into for the rest of your time in Cape Town as well. 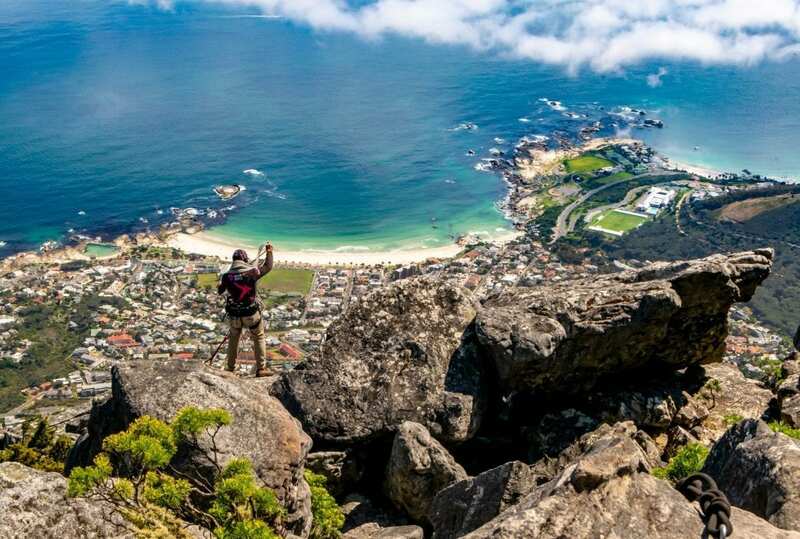 Hiking Boots — Whether it’s climbing mountains in the Drakensberg, summiting Table Mountain or Lion’s Head in Cape Town, or exploring the beauty of the Garden Route, there’s no shortage of opportunities to hike in South Africa. 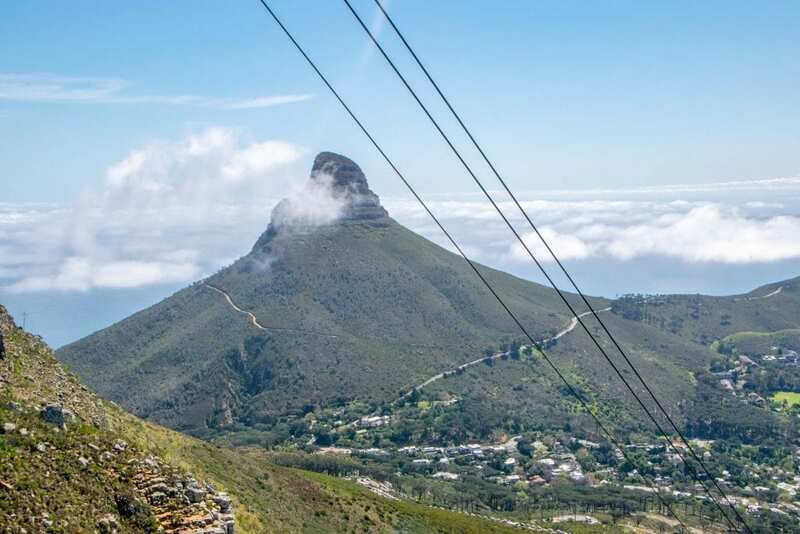 While you can do most casual day hikes in South Africa without boots, we loved having ours with us, and if you’re the outdoorsy type, we recommend putting a pair on your South Africa packing list. — Swim goggles are inexpensive, light, small, easy to pack, and make swimming much more fun (especially for people like us who wear contact lenses). Comfortable Bathing Suit — This goes for women especially: while cute bikinis definitely have a place on your packing list for South Africa, if you’re planning on doing any adventure activities like surfing, you’ll want to make sure you bring at least one suit that’s durable, easy to wear, and holds up to adventure. It doesn’t need to be a one piece, necessarily–just a suit that likes to stay in place and hopefully offers at least a little support up top. — Want to get amazing photos of yourself while in South Africa? Consider bringing a tripod and wireless remote along with you! Unfortunately, a tendency for petty crime in South Africa means that you need to be more cautious about where you break out this combo than in some countries, but with the right planning, it can still result in some incredible souvenirs! — Don’t risk running out of room for your memories during your trip: add an extra memory card or two to your packing list for South Africa. — It’s amazing how fast the memories of an amazing trip can fade. Be sure to preserve your in-the-moment thoughts with a daily travel journal! enough–it’s a great way to reflect on your day, keep an eye on the changes your life goes through over a five year period, and only requires a couple of minutes a day to fill out. I’ve been using mine for about a year and a half now, and I wish I had started it earlier! 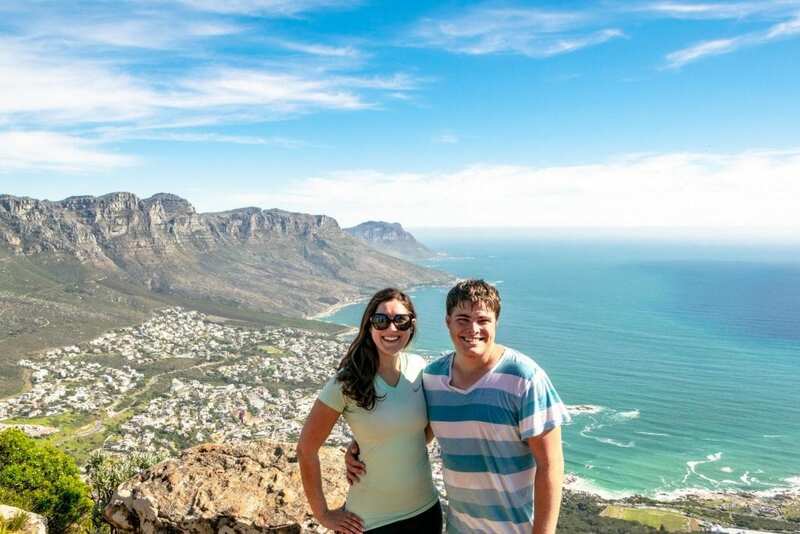 — Whale watching, road trips, scuba diving, sunset cruises… if you’re prone to motion sickness like me, traveling in South Africa offers plenty of opportunities to aggravate your stomach. Come prepared and put a pair of Sea Bands (I swear by these, they’re amazing) and some Non-Drowsy Dramamine on your packing list for South Africa! Basic Medication — Basic medications are of course available in South Africa, but who wants to be navigating the world of pharmacies when they’re sick and far from home? Alleviate any concerns and bring a supply of your most common medications along with you. — While it may be a bit cautious, we love having our safety whistles out with us when we go hiking–you never know when you might need one, and they are so inexpensive and light that it seems downright silly not to bring one along. Having trouble deciding what clothes to put on your packing list for South Africa? Use these tips to help you decide. Keep in mind the variety of climates & activities in South Africa. The climate in Kruger National Park is worlds away from that of the Drakensberg, which is worlds away from that of Cape Town–and that can mean having to carefully measure what clothes to add to your South Africa packing list. 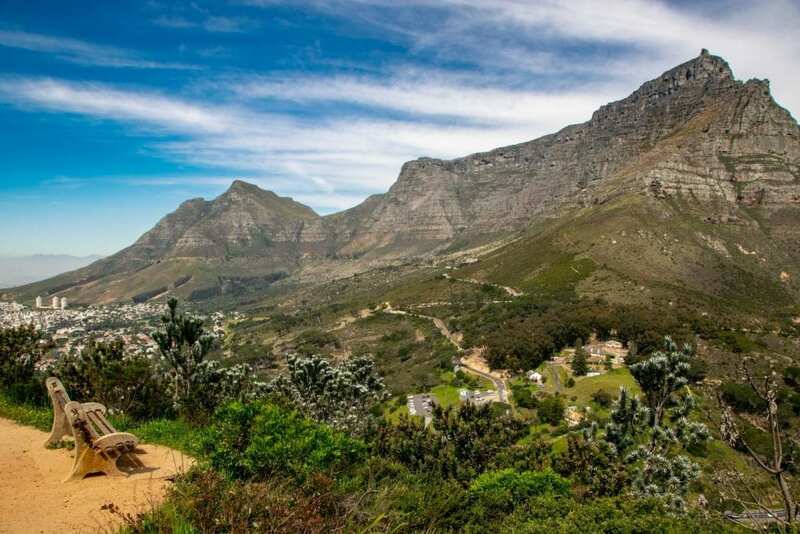 It sounds a bit basic, and it is, but a weather report for each destination you plan to visit should be your first stop when putting together your packing list for South Africa. Pack for what you plan to do. 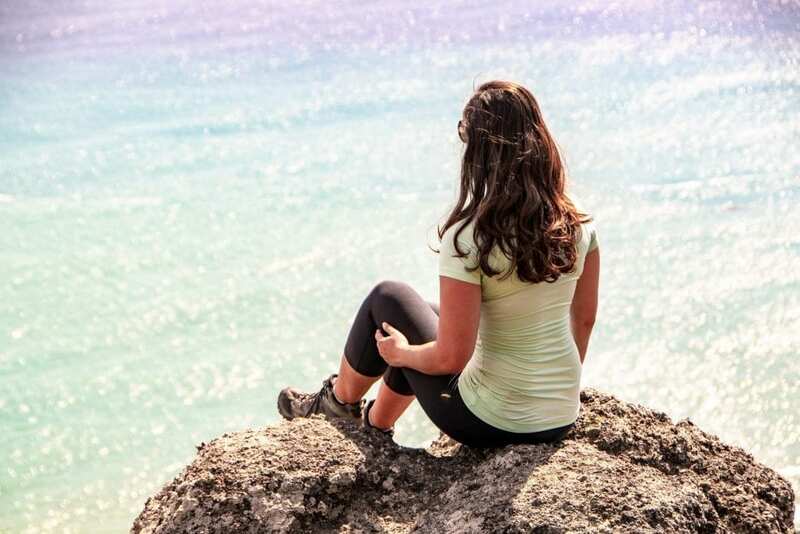 Never hiked a day in your life? Forgo any suggestions of hiking gear. 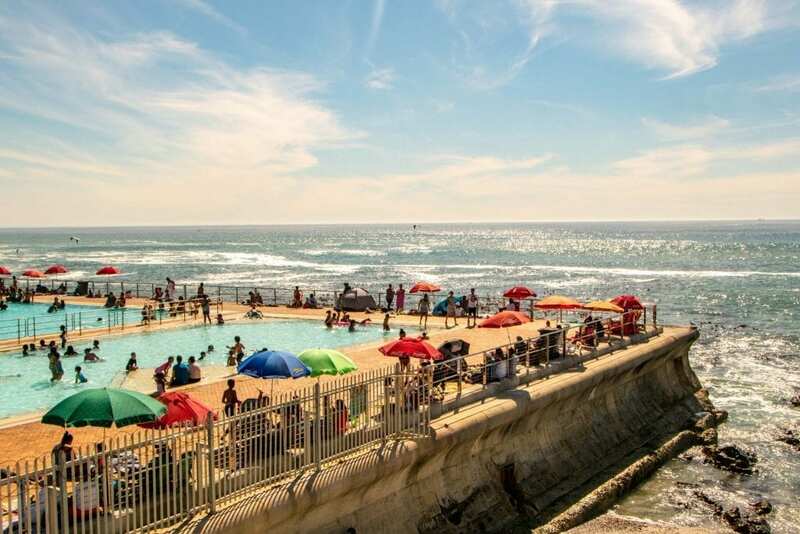 Plan to be a beach bum on the Western Cape for your entire trip? No need for safari clothes. South Africa is a country that captures the hearts and minds of many highly varied travelers, from luxury travelers hoping to experience the Blue Train or the Cape Winelands to budget travelers planning to take the Baz Bus down the coast and partake in nothing but hiking and inexpensive meals along the way–and of course, there are a million variations in between. 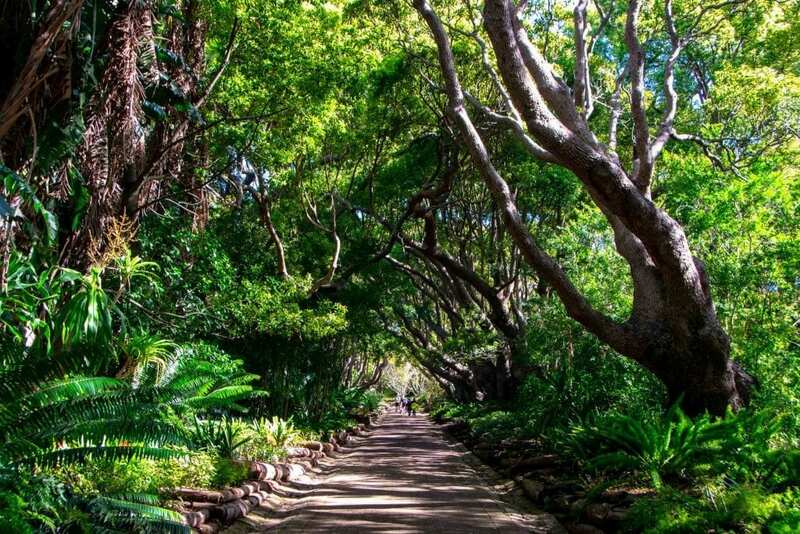 This can lead some South Africa packing lists to either be biased toward one type of travel or to overzealously suggest overpacking in case you somehow have a personality transplant once you land and decide to completely scrap your carefully made plans. Bottom line: you know your travel style and your trip best. Pack for that, whether that means packing for a safari, beach life, or something else… and leave the rest at home. And hey, if you change your mind on an activity once you get here, South Africa’s major cities have some lovely boutiques and plenty of outdoor shops! For going on safari, think layers. Even when the days are scorching, nights can still be quite chilly in Kruger National Park… especially during night or dawn game drives. Bring several layers and be prepared for significant temperature changes! In Kruger National Park, “neutral colors” isn’t really necessary. 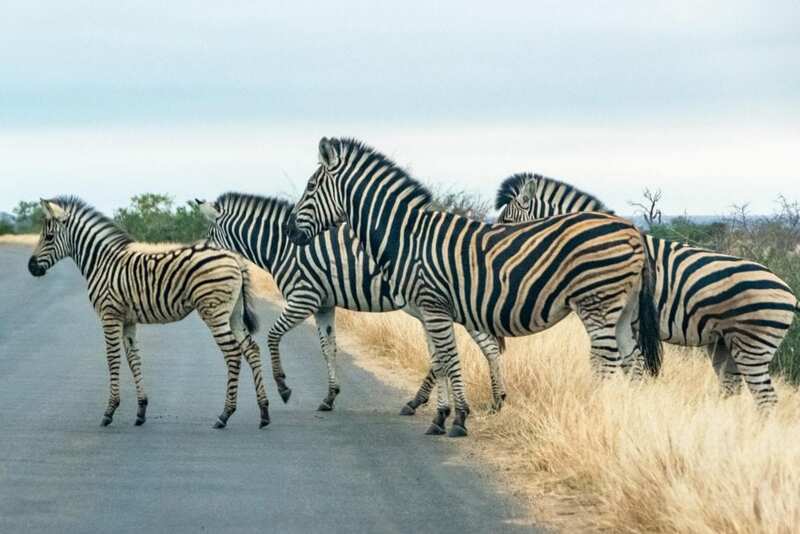 “Neutral colors” are often touted as the preferred uniform of safari goers, but unless you’re going on a walking safari, this isn’t really necessary in Kruger: most tourists in Kruger National Park remain in their cars when they’re not at a campsite. If you’re traveling in the summer, it is recommended to wear long pants and shirts, especially around sunrise and sunset, to avoid being bitten by mosquitos. Consider doing a round of laundry while in South Africa. If you’re planning an active or long (or both!) trip to South Africa, it’s easy for your South Africa packing list to get quite long. Consider planning ahead to have a load of laundry done in the country–there are many delivery services available (we had a great experience with one called Washr in Cape Town), and of course traditional laundromats as well.